The developers have been allowed to sell properties for the first time in the exhibition’s history. 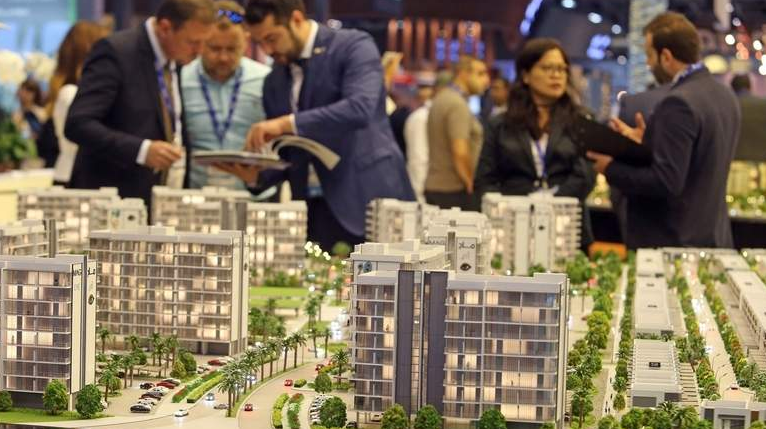 Property developers have reported good response from prospective buyers and investors with some of them signing handsome deals on the first day of the Cityscape exhibition. Most of the developers claimed they have signed deals with end users and investors at the three-day exhibition which opened on Monday at the Dubai World Trade Centre. The developers have been allowed to sell properties for the first time in the exhibition’s history. Khalifa Al Zaffin, executive chairman, Dubai Aviation City Corporation and Dubai South, said they launched the Parklane project and sold 15 per cent of the project in the first few hours of the exhibition. Nakheel CEO Sanjay Manchanda said it was a good move to allow sale of units at Cityscape as it generated great interest among investors. “We are finding a lot of interest and getting good response as we have made some sales too. It’s a good way to keep market interested and offer opportunity to investors and clients to directly deal with the developers. There are quite a few projects that we are selling and getting a lot of inquiries and attractions,” he noted. Dubai was recently ranked the most preferred for property purchases in the world in a survey conducted among Gulf residents. Around 69 per cent of respondents chose Dubai as the “go to” city for real estate investment, with two-thirds expecting the impact of Expo 2020 to increase property buyer interest in the UAE. The survey was released ahead of Cityscape. Marwan Al Kindi, executive director for sales and sales operations, Dubai Properties, told Khaleej Times that first-day response was excellent. “It’s more than what we expected. The footfall is very high and people are buying. We launched a 420-apartment residential building in the Marasi area facing the Dubai Water Canal. Rizwan Sajan, chairman of Danbube Group, said the response has been good and it had sold 4-5 units on the first day. “Some of them are direct investors, some are end-users wanting to invest here. Just now two UAE nationals came to inquire about the property and one of them was interested to buy a full floor. Hopefully, we will sign the deal with him tomorrow,” he added. Chris Robers, CEO of Eltizam Group, said the first day was good and very busy as there was a lot of interaction with potential customers and clients. Surprisingly, the region’s premier developer Emaar Properties is not participating in the three-day exhibition for some unknown reasons. The visitors looked for the company’s presence at the event as they were keen to know about progress on its exiting developments as well as new upcoming projects.